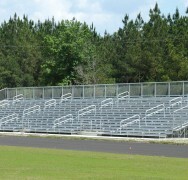 Our high density 15 Row aluminum bleachers are the largest standard size bleacher we make without customization. These bleachers come with an aisle, allowing for much easier access for all spectators. 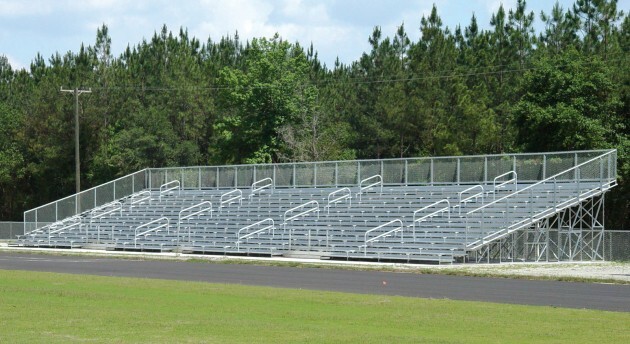 They are manufactured for strength and durability; these bleachers can endure extreme variations in weather temperatures. 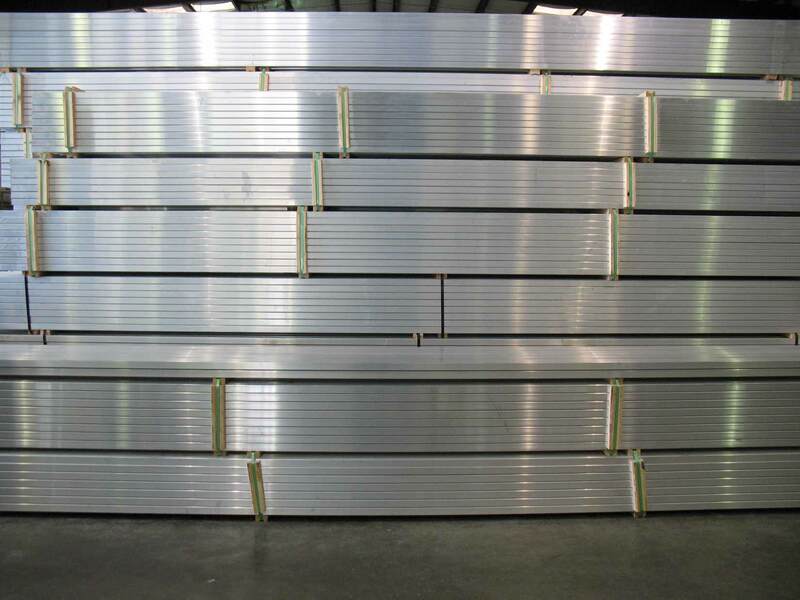 We take full pride in meeting all international building code requirements for all of our 15 row aluminum bleachers. Seating starts at 154 and ranges to 274. These bleachers are built to meet the rigors of daily use-both indoors and outdoors-with little or no maintenance for years to come. They have been designed to rest on a firm, flat and level surface. Standard widths for our 15-tier bleachers are 21′, 27′ and 33′.